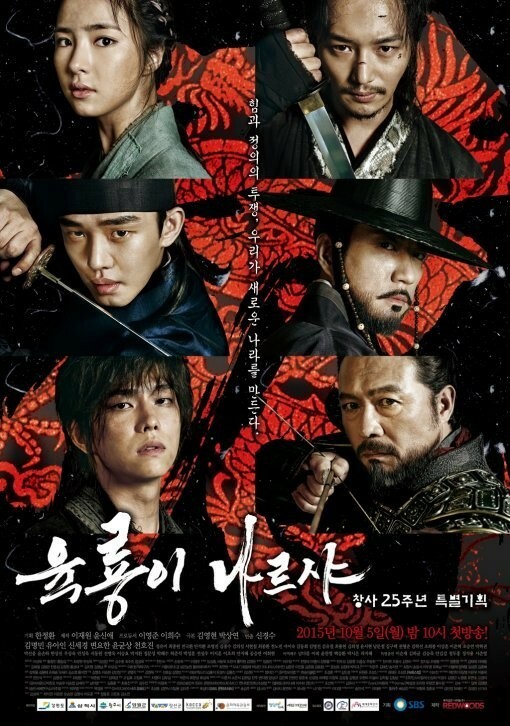 Set in the fading days of the Goryeo Dynasty, this drama depicts the lives and aspirations of six characters in establishing a new country called Joseon, with Lee Bang Won (Yoo Ah In) as the central figure. A fusion of saeguk and fiction, the story follows the conflicts of those 'six flying dragons' with the deep-rooted powers set against them, as they attempt to realize the dream they all share of a new nation founded on Confucian principles, which would eventually last for 500 years. It’s been one hell of a journey, and Six Flying Dragons delivers a solid finale for an altogether solid, engaging show that I’m still not ready to let go of just yet. I have been following this drama from the very beginning when they announced Yoo Ah In were casted to this drama. I even mentioned it in my Secret Door Review (A great drama too). Words can’t describe the roller coaster feelings I have been through because of this drama! It’s really hard to break down a 50-episode drama, I need to make a full 50 pages analyze to make sure you get every little detail in why you should watch this drama. Believe me, there has been no 10 boring minutes throughout the whole drama. No time to breathe or get used to the awesomely-written script or the out-of-earth acting. There’s that heart throbbing feel about the whole drama it’s insane. How can I not like Lee Bang Won when it’s Yoo Ah In acting him? The ultimate Yoo Ah In! His gloomy eyes hide varieties of emotions, and that’s what makes Yoo Ah In who he is. You swim in those eyes but you lose yourself instead of finding answers. Well, I do. I can’t really find the words to sum up this review, because I haven’t even started yet. If you haven’t watched the drama yet… What are you doing then?